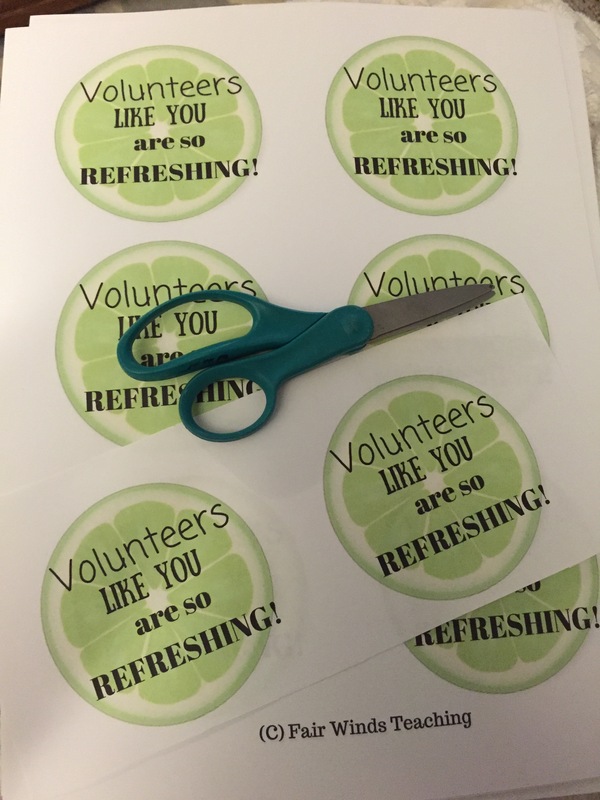 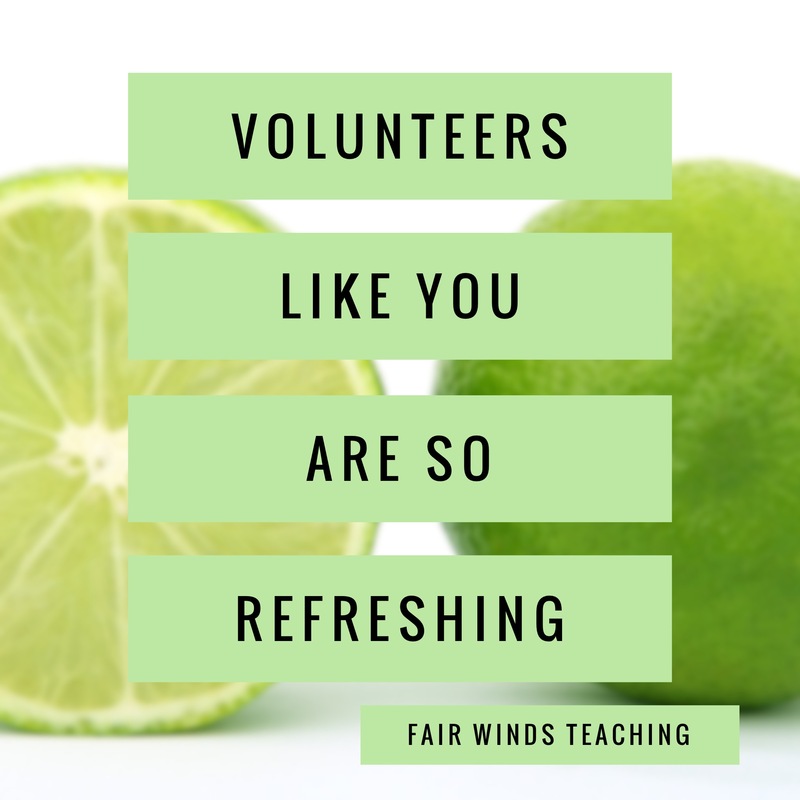 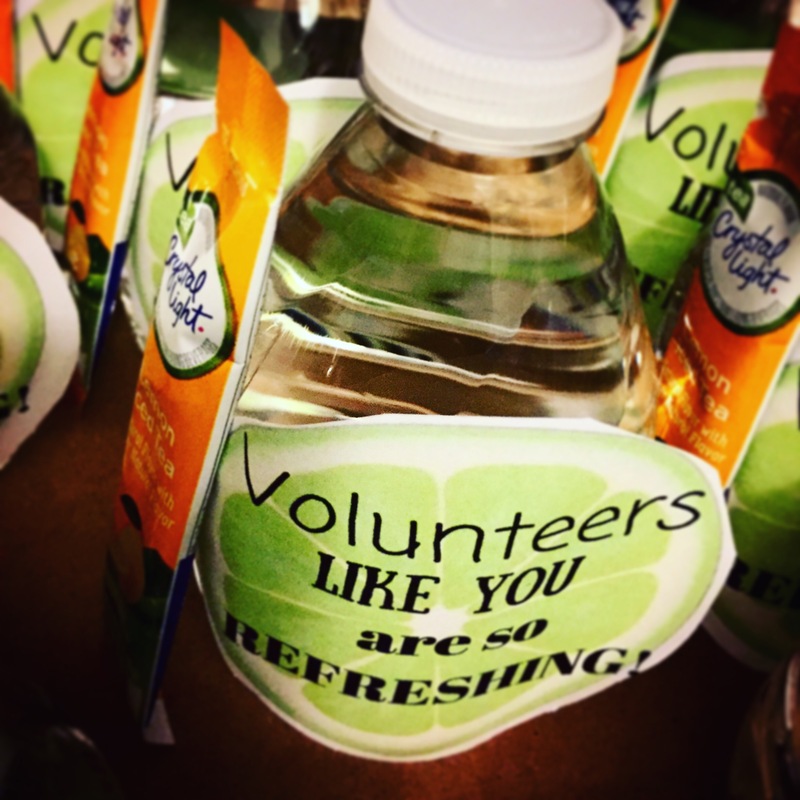 Want a quick and easy way to thank your school’s volunteers? 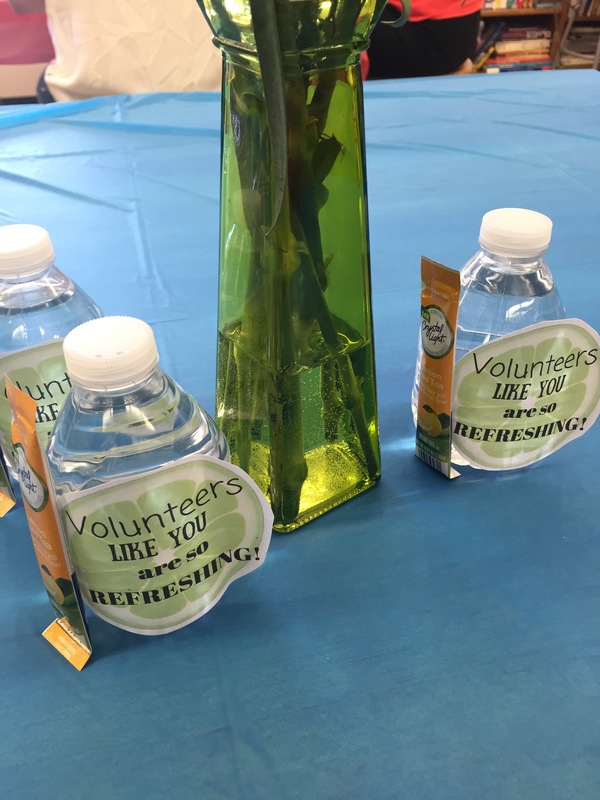 We are hosting a volunteer luncheon and wanted to provide a quick gift for them as they leave. I bought a case of mini waters and some individual Crystal Light packets. 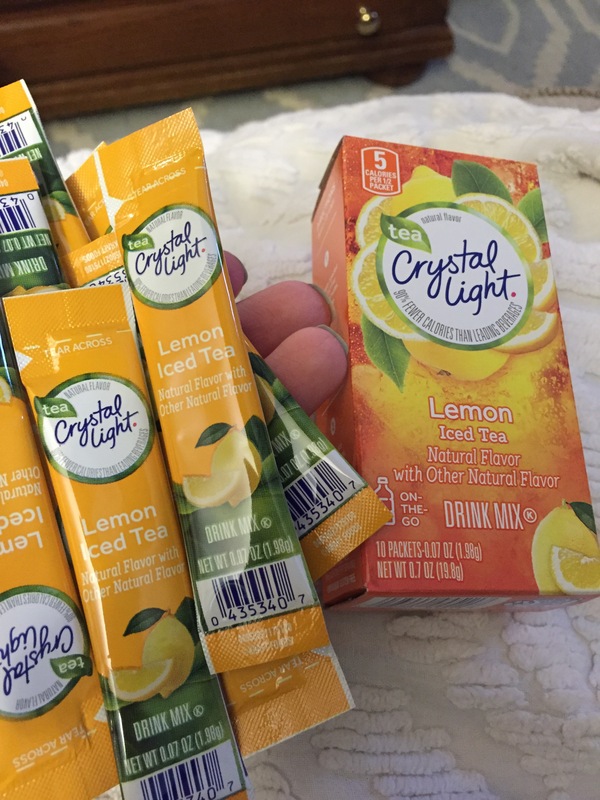 You can pick up crystal light packets at any grocery store. 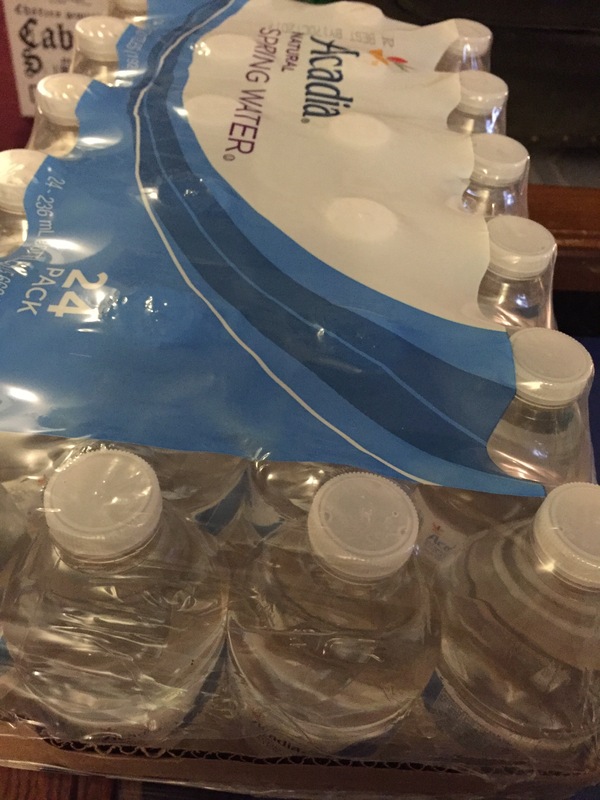 I bought a pack of mini waters, however, you can do them with regular size water bottles as well. 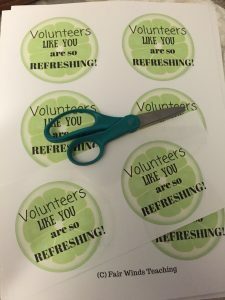 Simply print these papers out, cut them apart and add a hole punch. 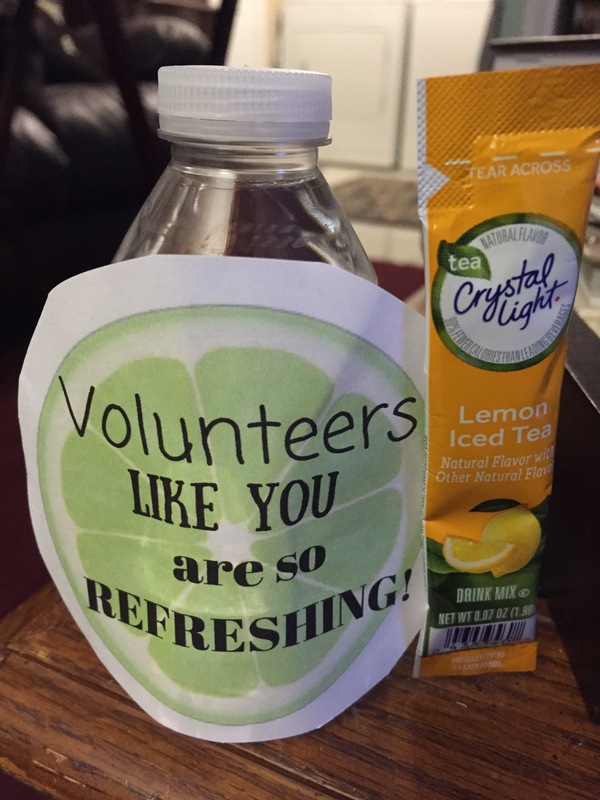 Then tie a ribbon around the water bottle and tape the crystal light packet on the end of the lime. 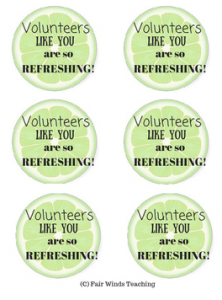 Place them out and enjoy! 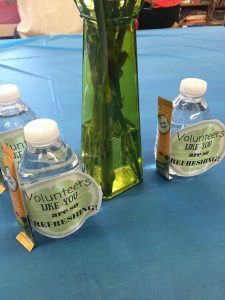 Here is are a pictures from my parent/volunteer luncheon at school. For more ideas on gifts, please check out my Teachers Pay Teachers page.